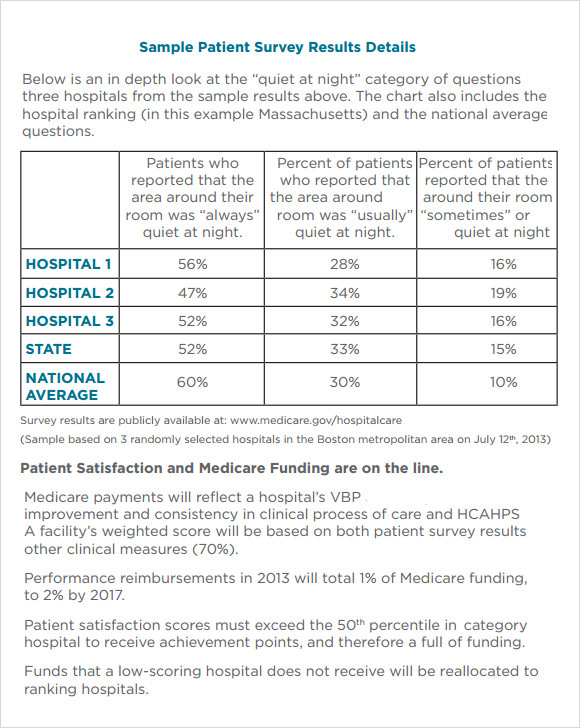 Since hospitality industry is expanding at a rapid rate, it becomes highly important to manage hospitals, clinics, and medical institutions using Patient Satisfaction Survey. 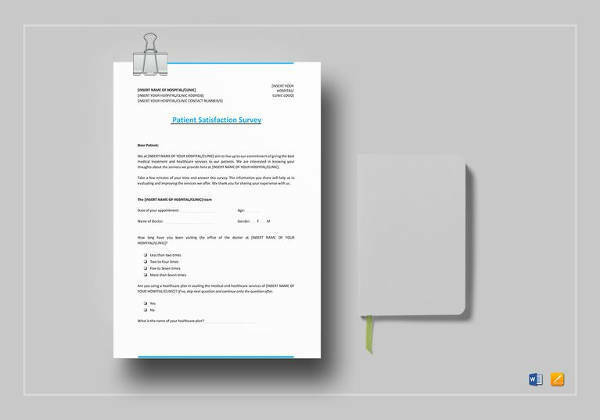 The readymade Blank Survey Templates not only help you collecting patient’s feedback effectively, but also follow a uniform format to make the collected readings easy to derive final findings. The templates work efficiently in analyzing and presenting how satisfied your patients are with the healthcare. 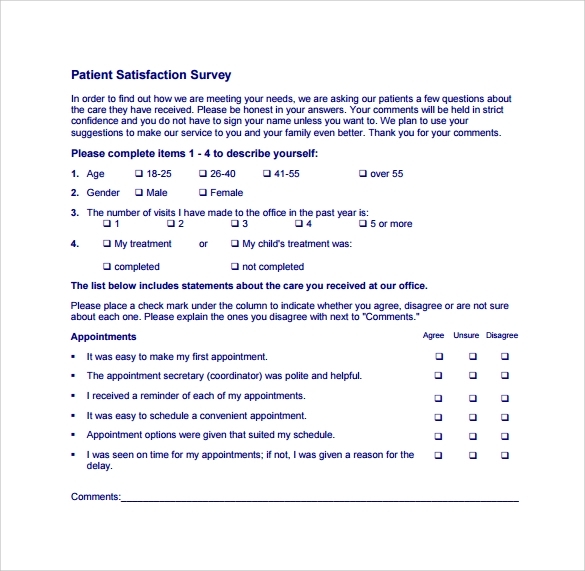 The Sample Patient Survey Results template ensures easy presentation of the collected feedback in an organized manner. You can either use the pre-defined fields or create your own to present how many ratings or percentage your hospital has received in accordance to a particular question. Apart from this, these templates can assist in improving the overall ratings of your hospital premises and services offered by your medical institution. These templates incorporate varied questions that will help the organization to gather information and detailed feedback about the doctors. 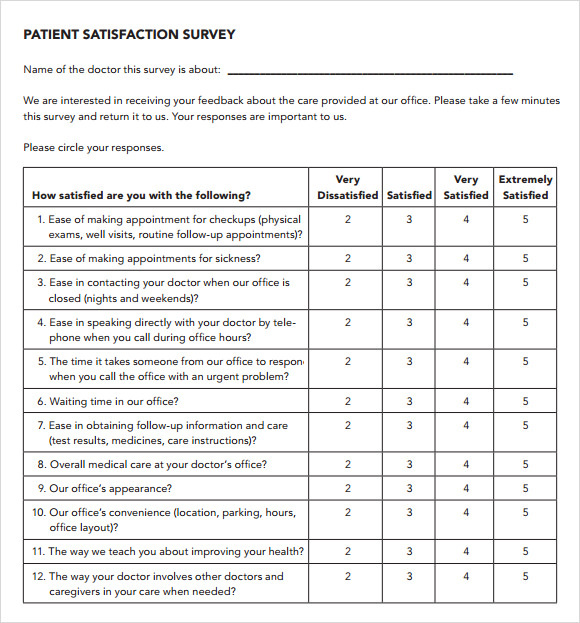 The survey template follows the ‘Rate your doctor’ format to collect the feedback as per ratings including very dissatisfied, satisfied, very satisfied, extremely satisfied, and others. Users can customize the template to meet their specific requirements. The template includes all the necessary questions that can help any medical institution to collect feedback about its health services. 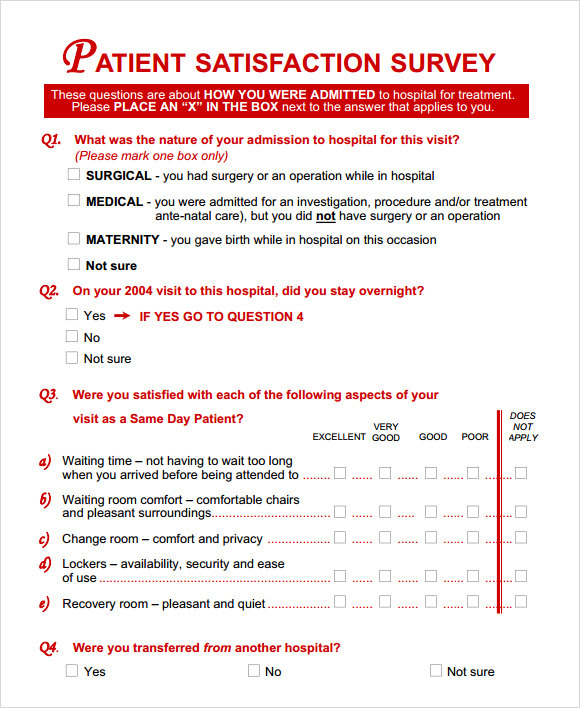 The detailed format of health services patient satisfaction survey includes questions about the doctor, hospital premises, its location, cleanliness, medications provided, and other necessary details. Apart from just rating the hospitality experience, the patients can actually present the ideal picture of the clinic, hospital, or medical institution with great ease. These templates allow a medical organization to open a dialogue with the patients and ensure a healthy relation with them. Filling up the surveys enables any organization to serve an individual in a better and efficient manner, next time they turn towards the same organization. The prime motive of these templates is to identify and quickly correct the issues that patients are facing, while using hospitality services of an esteemed medical institution. In addition to this, these readymade survey forms will make the feedback collection process speedy, efficient, and easy to recognize new opportunities for being more effective and efficient. These Feedback Survey Templates are available in Word and Excel formats. They are ready to download and print for starting your feedback collection process. 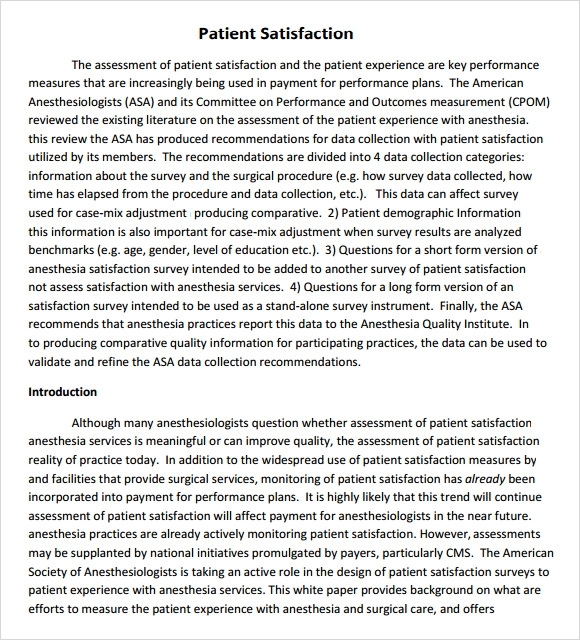 Apart from providing detailed insight of reviews about the hospitality services of a medical institution, these templates can help managing, organizing, and presenting the collected feedback in a well-organized manner. 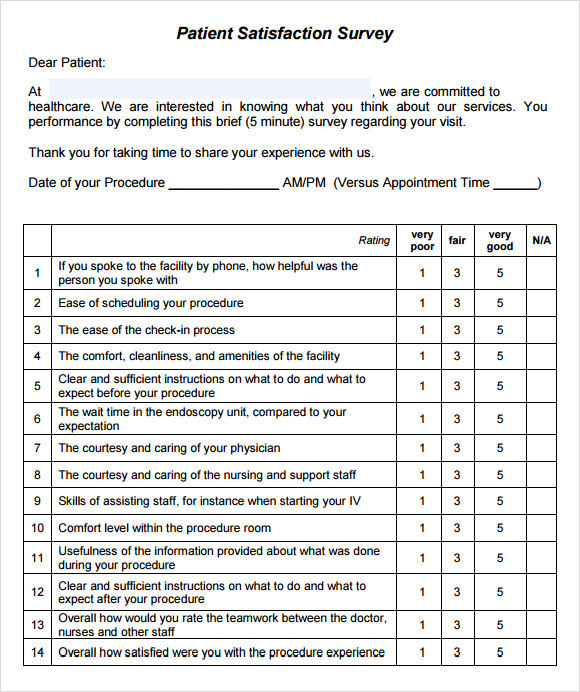 You can easily download and print these comprehensive feedback templates to acknowledge the reviews of your patients, and then create action plans to improve your services and hospital premises. 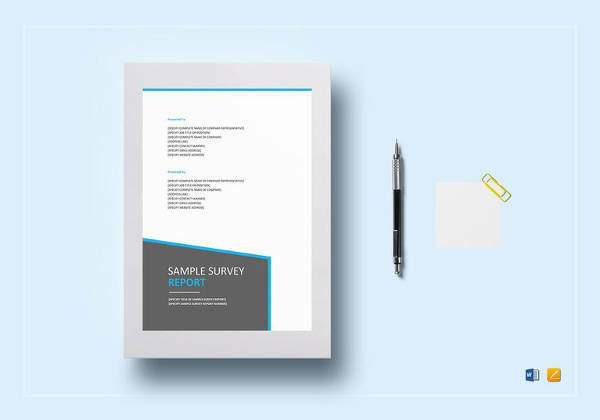 All these survey templates are highly customizable and you can create your own sample surveys to fulfill your precise requirements.